While hospitals are doing a better job of preventing and treating sepsis, patients who develop the infection are becoming sicker. 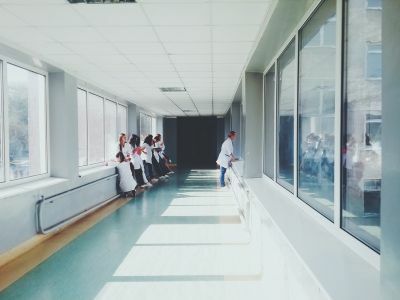 As a result, the average cost of treating sepsis has grown more than 20 percent since 2015, according to an analysis from healthcare consultant Premier. For its analysis, Premier examined discharge data from 871 hospitals representing 1.8 million cases. Premier found hospital-associated sepsis as a percentage of all sepsis cases fell by 15 percent from fall 2015 to fall 2018. The analysis also found mortality rates for all sepsis patients decreased 8 percent. Readmission rates dropped 7 percent. Still, while hospitals saw improvement in these quality metrics, Premier found patients who developed sepsis were 10 percent more likely to develop septic shock. From fall 2015 to fall 2018, the average cost per hospital-associated sepsis case grew 20 percent to about $70,000 — or seven times more than the average hospital stay for all other conditions. As a result, hospitals spent an additional $1.5 billion on treating patients with hospital-associated sepsis in 2018. "While significant progress has been made, there is opportunity to reexamine protocols for patients who develop sepsis after being admitted for another medical reason, as this suggests a complication of care," Madeleine Biondolillo, MD, vice president of quality innovation at Premier, said in a prepared news release.